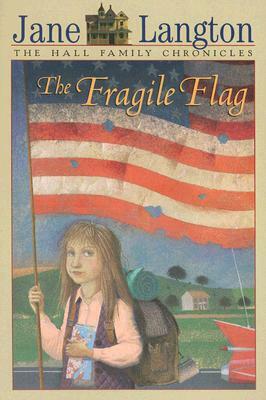 The Fragile Flag, by Jane Langton, is a little book about little Georgie, who decides to march to the White House from her home in Massachusetts, with only her brother and sister in tow. She does this because she believes she can sway the mind of the President of the United States of America. The President, you see, is in possession of a big bad bomb and knows how to use it. And will. Unless Georgie stops him. Along the way, against all odds, presumably, she is joined by many thousands of other children. And they march to Washington, DC– they do so peacefully, with one end in mind: to ensure peace. Banned. Yes, this book was challenged and banned. Why? Because this book “portrays the U.S. government as lacking in intelligence and responsibility.” Ha! I’d vote for this little girl for president!